Important information for all CrossFit athletes that will scale 19.4. Here is all the help you will need to scale the fourth Open workout. Time cap: 12 minutes, including 3-minute rest period. Prior to starting this workout, the athlete will need to set up a barbell, with standard plates, to jump over during the burpees. This workout begins with the barbell on the floor and the athlete standing tall. 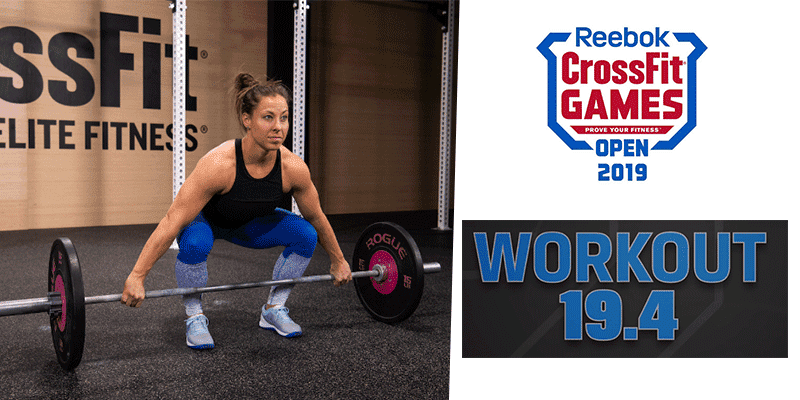 After the call of “3, 2, 1 … go,” the athlete may perform 10 snatches and 12 bar-facing burpees for 3 rounds. Upon completion of the first couplet, the athlete MUST rest 3 minutes while the clock continues to run. The athlete then may continue to the second portion of the workout: 3 rounds of 10 bar muscle-ups and 12 bar-facing burpees. The athlete’s score will be the total time it takes to complete the entire workout or the total number of repetitions completed before the 12-minute time cap. If the athlete doesn’t complete the first couplet until after the 9-minute mark, their workout is over. In this case, the athlete’s score will be 66 reps (with a tiebreak time).